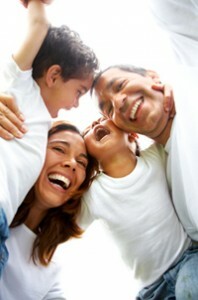 Henderson families love Chiropractic Care. My vision is to have an office full of happy, committed members who are experiencing health and vitality beyond their expectations through chiropractic and a wellness lifestyle. You’ll find our Henderson office to be a happy, friendly and fun! Unlike other medical institutions, your wait times are minimized. You leave with a smile on your face, we haven’t done our job. We encourage questions and an open exchange of information regarding health and wellness. The better you understand who we are, what we do and why we do it, the better results you’ll enjoy. Tour our site and call our Henderson chiropractic office. See why so many of your health-conscious neighbors already have! Thanks for renewing my trust in chiropractic treatment. I am very pleased with the success of my treatment! Keep up the good work! Dr. Jerian answered all of my questions, and made me feel comfortable during my visit. Natalie’s warm demeanor on the phone, as well as in person made me feel like I made the correct decision in choosing Jerian Chiropractic. My experience at Jerian Chiropractic has been great! Dr. Jerian cares about his patients and puts a lot of effort into helping them with whatever their problem might be. I would recommend him to anyone in search of chiropractic services. Thank you for the time invested in my personal wellness. Explaining each step I would encounter along with a feeling that I was not just a patient but someone you truly wanted to be pain free was refreshing in an uncertain situation. I will recommend you to all! Really happy I found you guys! Even though I felt very nervous at my first visit, Dr. Jerian made me feel at ease by explaining everything he was doing and the reason behind it. I love this place! My husband and daughter all come here! Friendly, welcoming from the first step into the office. Thorough history. Dr. Jerian listened to what I had to say about my past and present conditions. Explained why and what treatments and direction he would do at this time. Very informative and understand the process more and why it’s important to overall health to get the proper care. Made me a believer hands down. Pleasant staff. Excellent service. Procedure and problems thoroughly explained. Doctor makes me feel as if he has a real commitment to my future health and well being. Dr. Jerian is very professional. He has a positive attitude and you can sense that he is truly concerned about his patients and their well being. Very thorough in explaining your findings, the treatment available to me and the prognosis. I felt comfortable and completely safe in your care. I’m so thankful my friend highly recommended you to me!